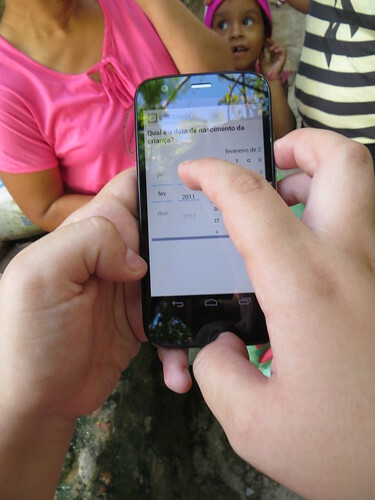 Last week a group of us from Civic returned from a two-week trip in Brazil, where we were busy testing the initial prototype of a project called Promise Tracker. Our work involved creating a mobile phone application that enables citizens to collect data on infrastructure developments related to promises made by their elected officials. As Ethan’s blog outlines , the initial concept of Promise Tracker was born from the observation that in many places around the world, we have achieved open, fair and “bad” elections. Although the international community is increasingly capable of policing blatant election fraud through citizen and third-party election monitoring, the outcomes of these elections are still not strongly related to the performance of the elected officials. Thus, “good” elections, in which people vote for a candidate based on his or her capacity to implement the promises they make during their campaign, remain elusive. With the Promise Tracker project we are hoping to develop a tool and complementary set of practices that provides citizens with the capacity to monitor and hold elected officials accountable to the promises they commit to while in office. We were very fortunate to work with some great partners from two different cities in Brazil. In Belo Horizonte, we collaborated with the Office of Strategic Priorities, a branch within the Minas Gerais state government in charge of innovation. The team from Minas provided an invaluable link to community leaders hailing from one specific neighborhood in Below Horizonte, where we held our first workshop. In São Paulo, we collaborated with Rede Nossa São Paulo, a network of community organizations dedicated to creating stronger links between citizens and their government. Through Nossa São Paulo, we were able to connect with a group of citizens recently elected to monitor a specific set of promises that the Mayor has committed to achieving during his term in office. This assumption proved tricky for two reasons: 1) There is no clear and obvious guideline for what “counts” as a political promise. In Belo Horizonte, we found it difficult to identify an officially recognized list of promises that were known and acknowledged by both the government and the citizens. This opened us up to thinking about all the potential things that could be considered promise sources (official party platforms, comments made in political debates, commitments made in speeches, etc.). However, without any clear guideline for what “counts” as a promise, it was tough to gather and consolidate that information in one place where concerned citizens could learn about them. In the future, we will have to figure out how to identify and consolidate promises. Then we can identify practices to ensure that citizens are informed about how those promises relate to their priorities and areas of interest. 2) Even where we had a large body of fairly specific promises developed jointly between the government and citizens, most of them were not specific or concrete enough to monitor on an ongoing basis. 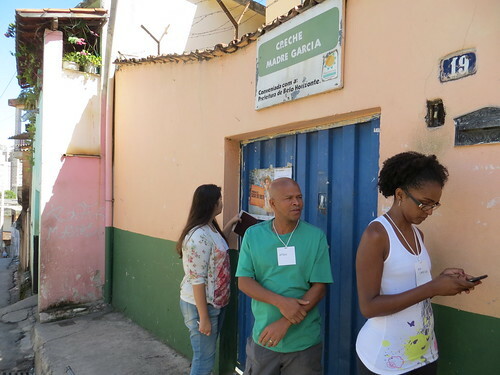 For instance, last year Nossa São Paulo worked with the mayor’s office to organize a participatory process for defining goals with the citizens of São Paulo. With the help of more than 9,000 Paulistas, the city drafted and committed to 123 promises to be fulfilled by the end of the Mayor’s term in office. However, even when broken down to the sub-prefecture level, none of the public goal descriptions included timelines or specific addresses, which are essential for monitoring ongoing progress of projects over time. Without that clear level of specificity, we foresee challenges in determining how to measure a promise in a way that is deemed valid by both the citizens and the government. Assumption 2: Implementation of a promise can be attached to a specific government official and then used during elections as an accountability mechanism. Our team agrees that there is great potential for using citizen monitoring activities to open up ongoing feedback loops between concerned citizens and their elected officials. However, it may prove difficult to hold individual politicians accountable for large-scale, multi-faceted projects that extend far beyond their direct purview. For example, if a building contractor is not living up to its end of the deal in the contract to renovate twenty new hospitals, who should be held responsible? The mayor? The municipal minister of health? The contractor? And, more importantly, how do such conversations link back to greater accountability during the next election cycle? With these questions in mind, we are beginning discussions to think through ways to build in opportunities for productive feedback between citizens, the government and other relevant third parties. Assumption 3: Goals can be attached to clear, specific means of implementation. During our community workshops in Minas Gerais, there was much discussion regarding the unreliability of the neighborhood bus system. As participants from the community explained to us, long bus delays were caused by congestion from too many cars trying to drive on the very small one-way roads throughout the neighborhood. Many possible solutions to this problem were discussed, such as: broadening the roads, making certain streets one-way, or building a bigger thoroughfare through the neighborhood and rerouting the bus system. When weighing these options with different community members there were strong, divergent opinions about what would be the best way to solve this problem. This begs the question: What happens when politicians start to make good on a promise using means that a significant segment of the population doesn’t agree with? Certainly it’s unreasonable to expect all parties to agree on the specific means of implementing a promise. However, we may want to think about ways to support constructive conversations regarding how the implementation of a promise can be improved to address the needs of diverse stakeholders over time. Around the world, there are many organizations in the business of collecting data regarding politicians’ performances in office. Organizations like Mumbai Votes do a great job of disseminating such information to the public in an accessible way, in the hopes of promote more informed voting decisions come election time. However, it is still unclear how such educational efforts have impacted voting behaviors. Given the large body of work on all the ( sometimes disturbingly irrelevant ) factors that can shape a person’s voting behavior, we still have a lot to figure out in terms of bridging the gap between information gathering and voting behavior during election time. With Promise Tracker, I think the promise of our approach lies in the value of data being collected and disseminated by citizens for citizens, rather than the government or other 3rd party organizations. However, we still need to develop a clearer conception of exactly how the act of collecting and sharing data about an issue someone cares about is going to impact one’s voting behavior. These are just some initial reflections. In the coming weeks, we will be working hard with our partners in Brazil to identify viable next steps based on the rich insights we’ve gained from our first set of experiences in the field. Stay tuned for future developments!